One solid inch of your chosen hardwood is hand sanded and stained to perfection to become the buttery smooth top of your South Hooksett Sideboard. 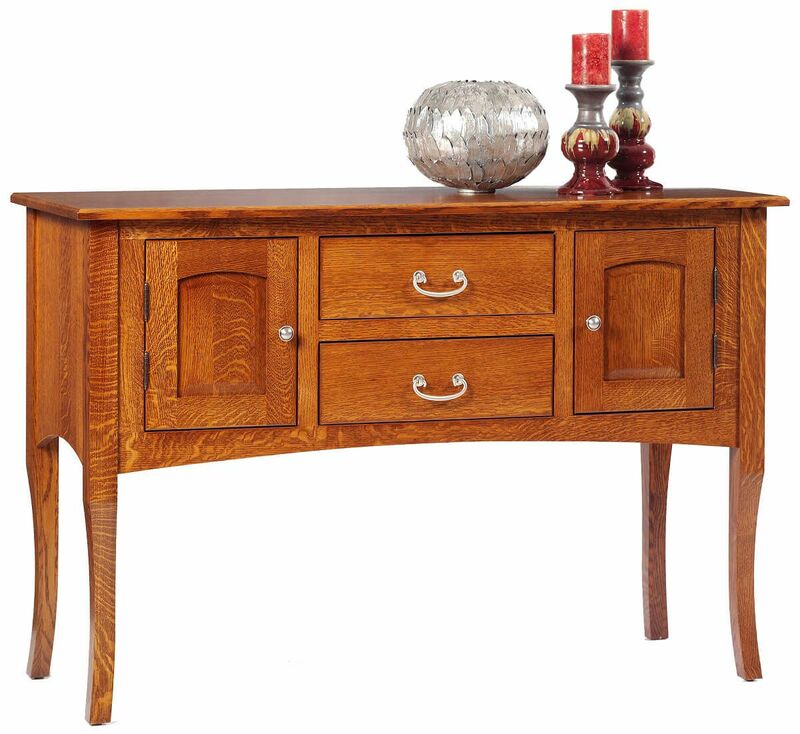 Our handcrafted South Hooksett Sideboard features beveled doors, which are expertly inset flush with the frame, and solid wood dovetailed drawers. Standing 36" high, this fine buffet works well in a formal dining setting or as a handy storage piece in more casual setting. All joints will be secured using mortise and tenon joinery for superior durability. Personalize your South Hooksett Sideboard and matching dining pieces in the hardwood and stain combination you most prefer. 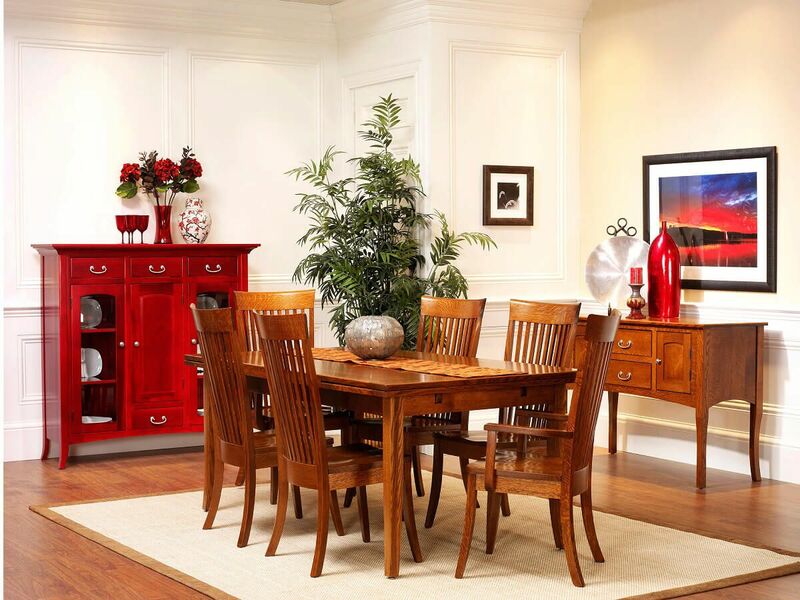 Shown in Quartersawn White Oak, your server is also available in Oak, Rustic Cherry, Cherry, or Maple.